Dame Joan Henrietta Collins, is an English actress, author, and columnist. After making her stage debut in the Henrik Ibsen play A Doll's House at the age of nine, she trained as an actress at the Royal Academy of Dramatic Art (RADA) in London. She then signed an exclusive contract with the Rank Organisation and appeared in various British films. The actress has thanked and praised the emergency crews who came to her and her husband's aid. 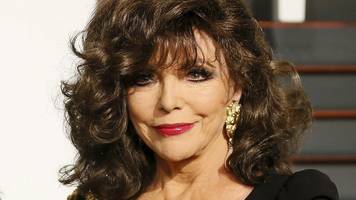 Extra reports that former TV star, Dame Joan Collins escaped a home fire without injury on Saturday. The actress is "unhurt" but "obviously shaken up and distressed" after discovering a fire in her..